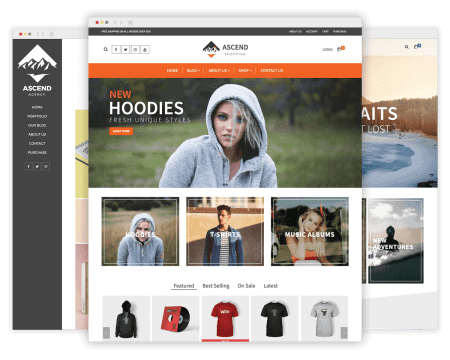 Completely customizable header including a very stylish vertical menu and a stunning transparent header that changes as you scroll. Amazingly versatile, built for performance. Check out all the unique demos! Uniquely set up to display beautiful large images with a modern flat design. Content is displayed with subtle bubble style backgrounds with a slightly off white background adding contrast. This theme loves to show off images! 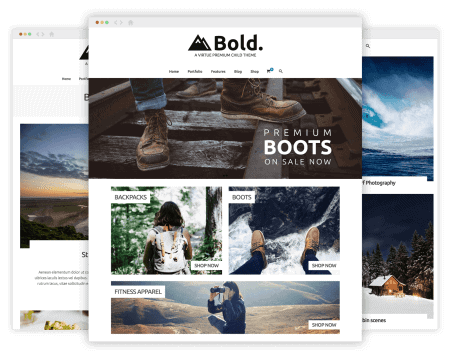 Our most popular theme comes packed with tons of options from header styles to clean layouts. 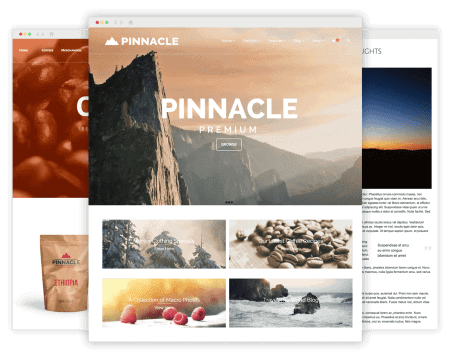 This versatile theme gives you powerful control over your site. 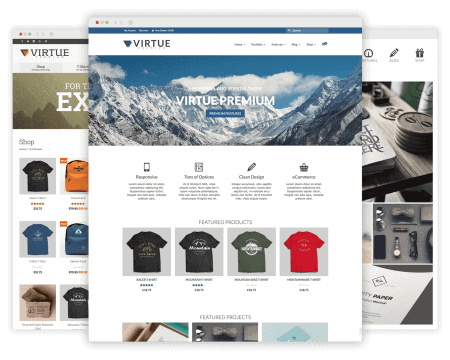 Premium child theme built on the power of Virtue, but accomplishes its own bold style. Its sharp layout features make for a clean look that is both elegant and unique.